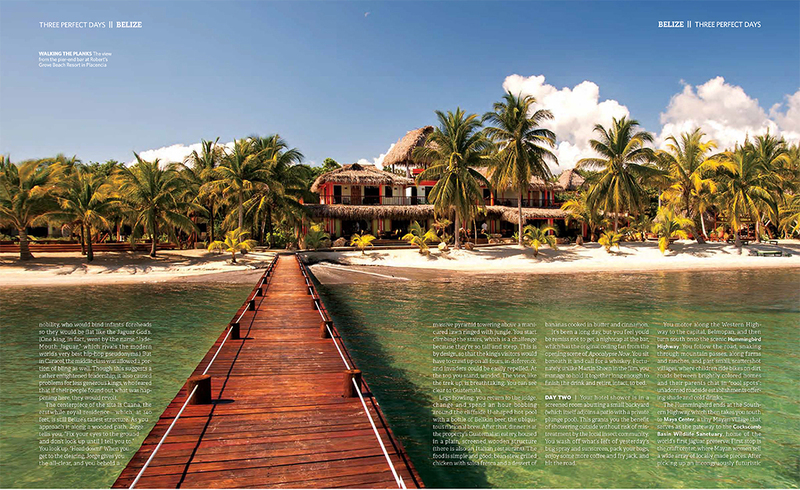 Press Release - Belize Tourism Board - January 29, 2013 – Belize has received the prestigious honor of being featured in the February 2013 issue of the United Airlines in-flight magazine, Hemispheres. 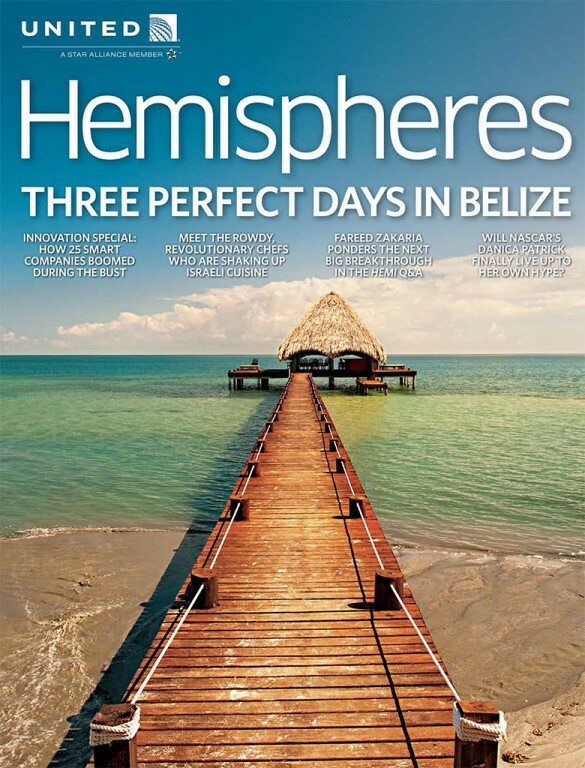 Belize was chosen for the “Three Perfect Days” article, and is also featured on the cover of the magazine. To capture the full authentic Belizean experience, the twelve page spread features a myriad of adventures and gives readers a peek at just what sets Belize apart; the people, culture, food, and landscapes are just a snapshot of what makes Belize the ideal tourist destination. Joe Keohane and Al Argueta take readers on a journey into the heart of Central America, Belize. “Day One,” the adventure begins at the Blancaneaux Lodge in the Cayo District, and later takes readers into Rio Frio Cave and then on to discover the mysteries of Caracol. “Day Two” journeys along the scenic George Price and Hummingbird Highways to Placencia and is complemented with a stop at the Cockscomb Basin Wildlife Sanctuary. The perfect drive is capped off with dinner at popular local eatery, Wendy’s Restaurant. And, what better way to get some R&R than to retire for the night at The Inn at Robert’s Grove? “Day Three” goes underwater for a snorkeling excursion in warm, pristine Belizean waters where marine life dances in an unspoiled habitat. The final night winds down with dinner at renowned RumFish Y Vino, topped off with drinks, music, and a game at Yoli’s. Hemispheres is an award winning, monthly magazine which highlights numerous topics, including travel, technology, business, fashion, luxury goods, food and drink, sports, luxury cars, and global culture. The magazine reaches over twelve million passengers monthly, as it is available in all United flights to over 378 destinations worldwide. The magazine is also accessible via United’s website, social media sites, and mobile app available for iPads. The February issue will be available on United Airlines’ Hemispheres website at www.hemispheresmagazine.com starting in February.